When it comes to mold, MasterTech’s certified team of industry experts understands and appreciates the risk that you and your family are up against. That is why we have taken every measure to carefully train each of our inspectors and technicians to handle all cases swiftly and efficiently while remaining mindful of you and you family’s safety and best interest. At MasterTech, we are devoted to providing home and business owners with high quality, honest, and safe mold removal services in New Jersey. Do you think you are detecting signs of mold development in your New Jersey home or business? 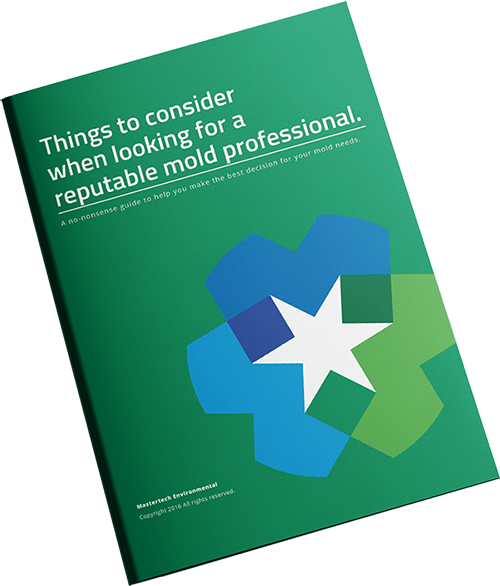 You should consider calling a professional mold company to to conduct a mold inspection in Pitman, NJ. A certified MasterTech mold inspector will complete a visual evaluation to identify any conditions that can promote mold growth. With the use of moisture meters and thermal imaging readers, your inspector will be able to isolate all damp building materials and track the course of the water migration to understand potential mold growth patterns. If necessary, samples can be collected for scientific analysis. Each step of the mold removal and remediation process is crucial to ensuring success of your Gloucester County, NJ mold remediation. At MasterTech, we have strategically developed a step-by-step mold remediation process that safely addresses all the key priorities of mold remediation. In cases where the property has experienced significant water intrusion, MasterTech may need to complete a full Pitman, NJ water damage restoration and structural drying before even considering the mold remediation. Cleaning & Disposal: Most mold can be safely removed from most surfaces of your Pitman, NJ home without the use of toxic agents. However, in some, more aggressive, mold cases, contaminated building materials may be non-salvageable and will require safe removal and appropriate disposal. MasterTech technicians are trained in the most advanced techniques for the safest, most effective, and most efficient removal and disposal of moldy materials. Every MasterTech mold remediation in Pitman, NJ is backed by a 5-year mold-free warranty. It is the MasterTech promise that the mold was safely and effectively removed, and it will not return. For a mold inspection or mold removal in Swedesboro, NJ or for a mold inspection or mold removal in Clayton, NJ, call 1-800-310-3226.